This guide will show you the best bike lock under 50. Enjoy. If you’ve ever had your bicycle stolen, you’ll be familiar with the heart-sinking feeling connected to it. Sadly, it happens a lot. In fact, about half of all active cyclists have their bikes sto﻿len. You’ll want to give thieves as little opportunity to steal your ride as possible. Now part of that is down to how you secure your bike, and part of that is down to the lock itself. There’s four types of locks on today's market: D-Locks, chain locks, folding locks and cable locks. 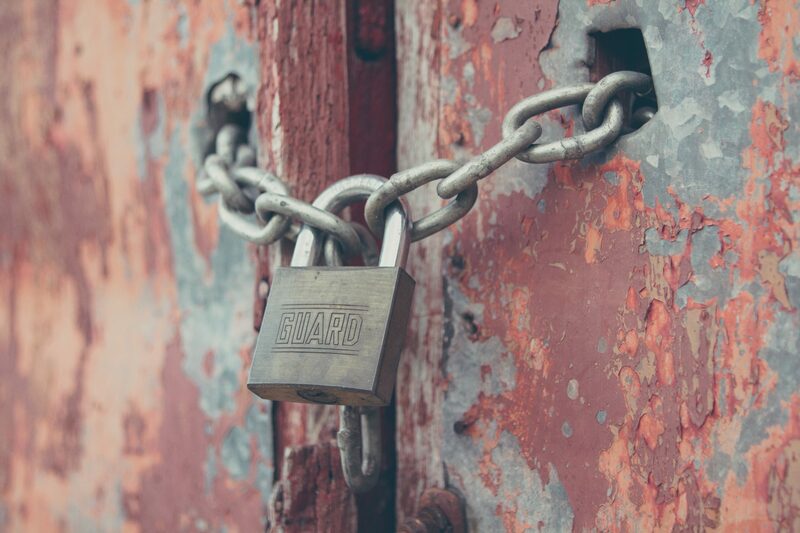 You need to consider what type of lock is right for you. There’s a huge range on the market that vary wildly regarding both price and quality. As a rough guide, you want your lock to cost no less than x10 the cost of your bike. So if you’re spending $50, you’ll want your cycle to costs no more than $500. If your bike is worth more than that, I’d recommend stepping up your game. Watch this video to see a terrifying montage o​f destruction. How Secure Should It Be? A bike locks sole purpose in life is to keep your bicycle safe, but 50% of the time they fail miserably. That’s because 50% of bike locks are about as strong as a strawberry lace. 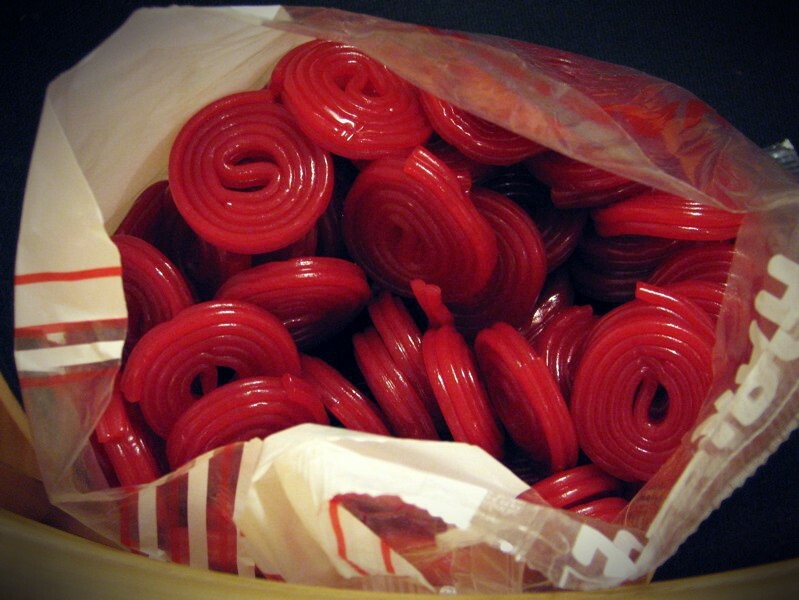 However, sometimes a delicious sugary snack is all you need. So how do you decide how secure the lock needs to be? Here’s a chart I’ve put together for you to check against. Is that a cable lock or some sweets? I can't tell. How Long Do You Leave It Un-attended? While if you find you have two criteria within the Low-Risk section then you'd probably get away with a lower security ​rating. All reputable brands will provide their security ranking systems. However, they’re confusing and make it difficult to compare them against one another. Kryptonite, Onguard & Abus's﻿﻿ security rankings. Confused as I am? Thankfully, there are independent third party companies that use standardized methods to test a wide number. Sold Secure from the UK provides Gold, Silver or Bronze ratings depending on how long a lock can withstand an attack. Of all of the testers out there, these guys rate the widest variety. Although it's important to note that the manufacturer has to submit a lock to Sold Secure to get a ranking, and they don't always do that. So there could be some products out there worthy of a Gold or Silver rating that don't have one. This is when you could use the brands own ranking system. For example, if a Kryptonite has an independent ranking of 63 and a Sold Secure Silver ranking. You can be pretty sure that all their products with a ranking with 63 will have a Sold Secure Silver ranking. This is not an official way to determine the products ranking, but it's a good way to estimate if the manufacturer hasn't submitted an item you're interested in. Individual circumstances are an important factor in your choice. If it’s too heavy to carry, too big to fit on your bike, or too small to fit around your workplace lamp post, you’ll stop using it, and that’s when bikes get stolen. There are four types of well-established locks listed below. Each one has its advantages and disadvantages. It should be clear which is best for you after taking a look at them all. 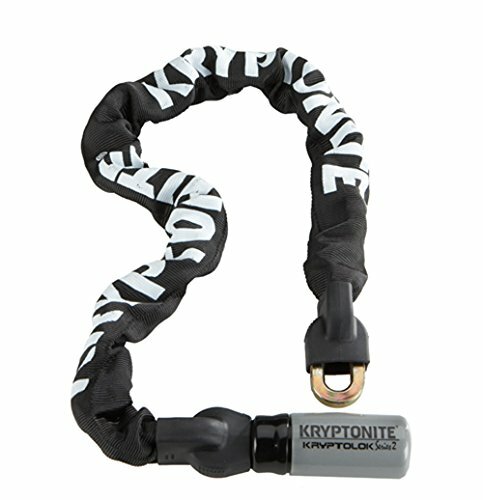 The Kryptonite Kryptolok Series 2 has a 13mm hardened performance steel shackle that is ideal for resisting opportunist cutting and leverage attacks. This is combined with a high-security pick and drill resistant disc-style cylinder, which offers serious protection and some great value for money. The lock comes with two keys, so you’re able to keep a spare one, or lend one to someone else so that they have access to it as well. The keys come in an “I” shape; this makes them much easier to use in low light situations, or on occasions when the key slot is in a hard to reach position. You’re also able to ID register the keys on the Kryptonite website completely free of charge; this is a great feature to have in case you’re unlucky enough to lose or damage the keys, and you need to replace them. Included in this purchase is a Transit Flex Frame Bracket, making it easy to mount the product to tubing that's anywhere between 25mm to 80mm in thickness, whether that’s round, oval, triangular, or square. ​Sadly, this product won't fit into the back of your jeans like the Kryptonite ﻿Evolution Mini 5. However, the added frame bracket means you shouldn't have to worry about that. The lock also includes a 4ft long, 0.5” thick KryptoFlex double loop cable. 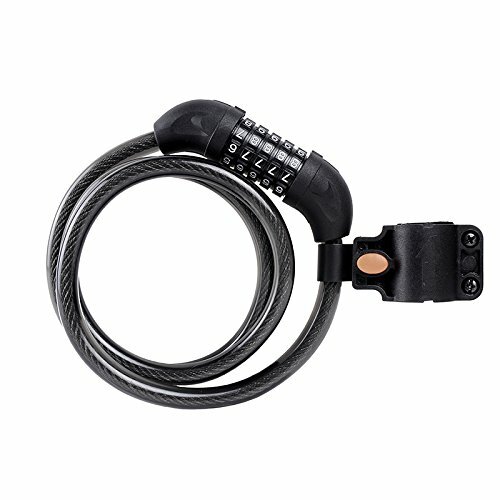 A loop cable is ideal for securing the bike wheels, or for securing any other accessories you might want to keep safe. The locks work independently from one another, so you’re essentially getting two items for the price of one. If you’re concerned about the size of the lock, the inside of the “D” is 9” by 4” wide. So this gives you 9” of lockable space. Perfect for going around most objects but not a good as chain locks. Some customers have even mentioned that they were able to lock two bikes together. Of course, it depends on what you’d be locking the bikes too, but it’s possible. 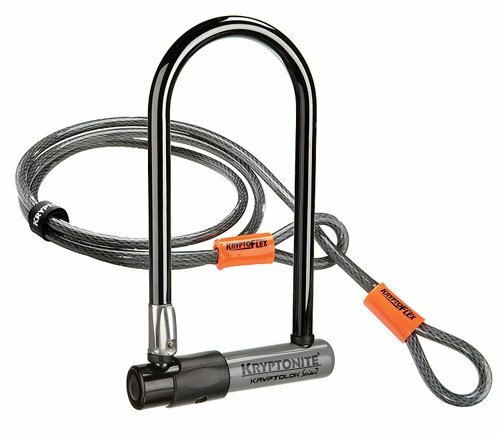 The Kryptonite Keeper Integrated chain lock has an end pin-link design that secures the chain with a hardened deadbolt. These features, combined with chain links that are four-sided, 7mm thick and made of 3t manganese steel, gives the holding power it needs if it were ever to come under attack. 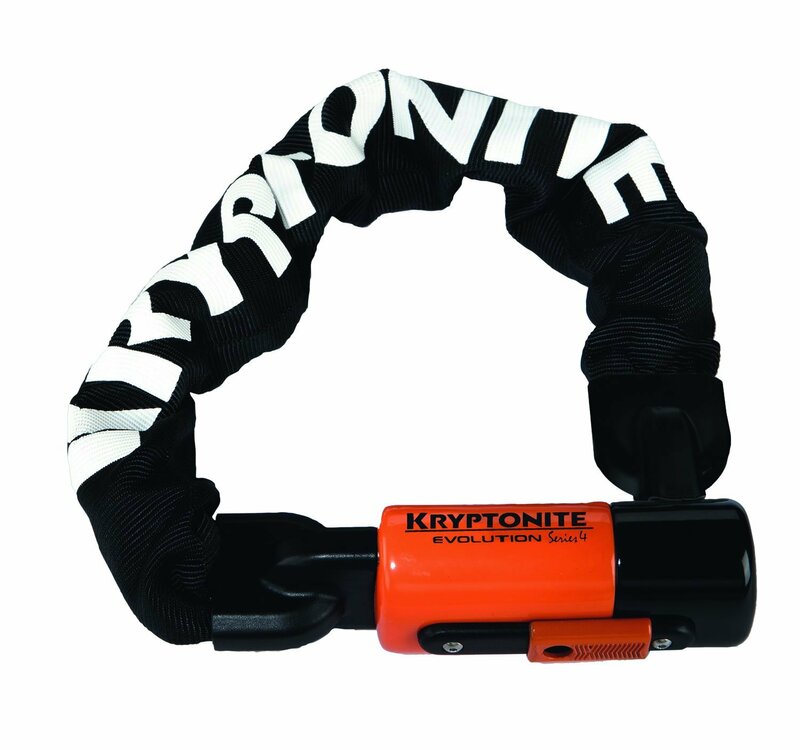 Sadly, the chain is unlikely to be long enough to wrap around both of your wheels like the Kryptonite Kryptolok Series 2 cable, but a solution to this is to simply unclip the front wheel and put it down by the side of your bicycle. If you had a smaller bike, you might be able to fit it around the wheels. The chain is 33.5” (85cm) in length, so I suggest measuring out a piece of string and checking on your cycle before placing an order. For transportation, you could wrap the chain around your handlebars or seat stem while your riding. This lock comes with three ergonomic “I” keys which are great in case you manage to misplace 2 of them. 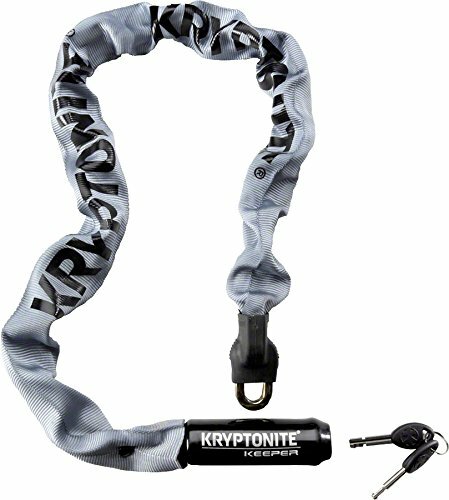 However, unlike the Kryptonite Kryptolok Series 2 D-lock, which allows free registering of the key, you have to pay $9.99 for the first year for this one. The links are relatively thick, and the weight is quite heavy (1.13kg), deterring casual thieves with smaller bolt cutters. People with serious tools would be able to defeat this lock, but most would look for something else. 0.25" stainless steel that's able to withstand attack from bolt cutters make up the INBIKE 8﻿ Alloy Steel, and ABS rubber paint covers the lock, effectively preventing it from rubbing on the bicycle frame and damaging it. 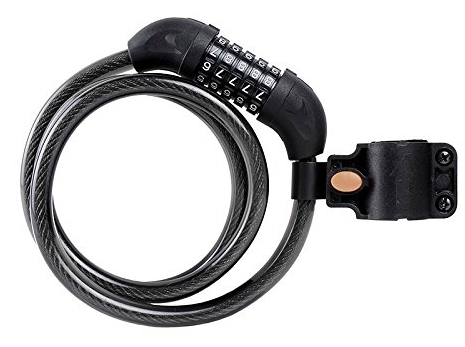 Similar to the Kryptonite Keeper Integrated chain lock, this lock comes with three keys which are great if you manage to misplace some of them. Additionally, the lock is light. It’s the lightest here by some way at 700g, great if you’re looking for a product that's not going to weigh you down in any way. The best feature of this bike lock, and what makes it stand out from others is the foldable design. The design uses advanced car rotary riveting technology to reduce the joints gap, ensuring that they stay tight. The technology enables it to give excellent protection from anyone who might fancy your bike. The design unfolds to a locked space of 13”, giving you the opportunity to secure it to larger objects than most D-Locks would be able to handle. The lock then reduces down to a much smaller size when not in use. Reducing the size makes it compact and incredibly easy to carry around. If you need something for quick trips in low-security areas. Along with something that can easily be stored to fit onto the bottle cage mounts, then this may well be the lock for you. Other locks can be incredibly bulky and cumbersome. 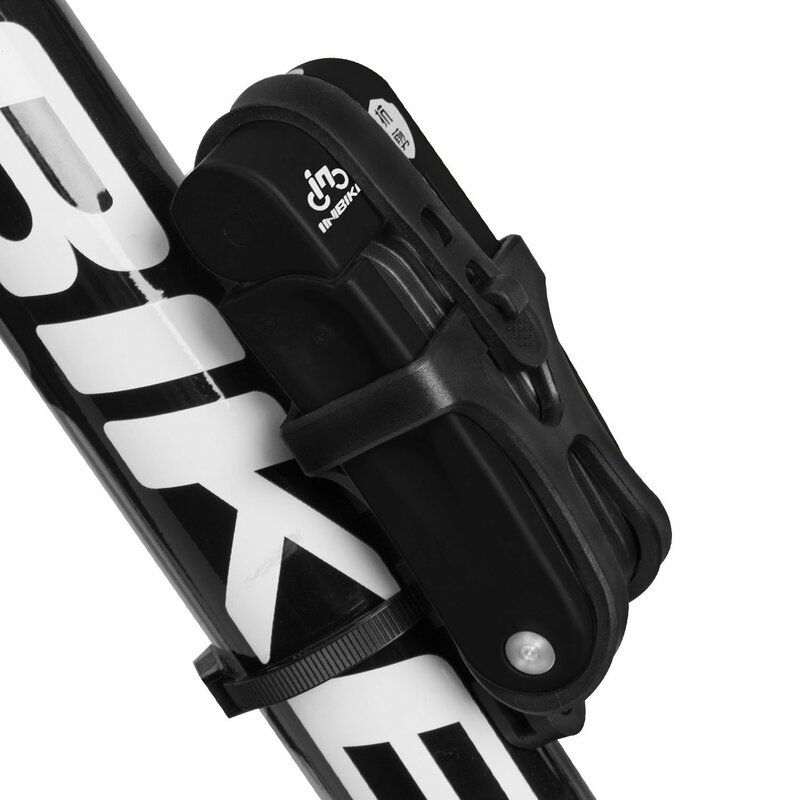 The INBIKE 8 is a great solution to that problem and will keep your ride safe in the process. However, this was one of the only folding locks I was able to come across within this price range. This design seems to be a cheaper version of the ABUS brand. So, if you did decide that the folding lock was the one for you, I’d suggest spending a little more money and going for one like this instead. I'm sorry, but I can't recommend any cable locks in this review. There are more cable locks available in this price range than anything else, but they're terrible. They can be snipped in a matter of seconds by nothing more than simple pliers, making them almost useless. In fact, 90% of all bikes that are reported stolen are secured by one of these. If you own a bike that you'd like to keep hold of, I highly recommend going for another type of lock. 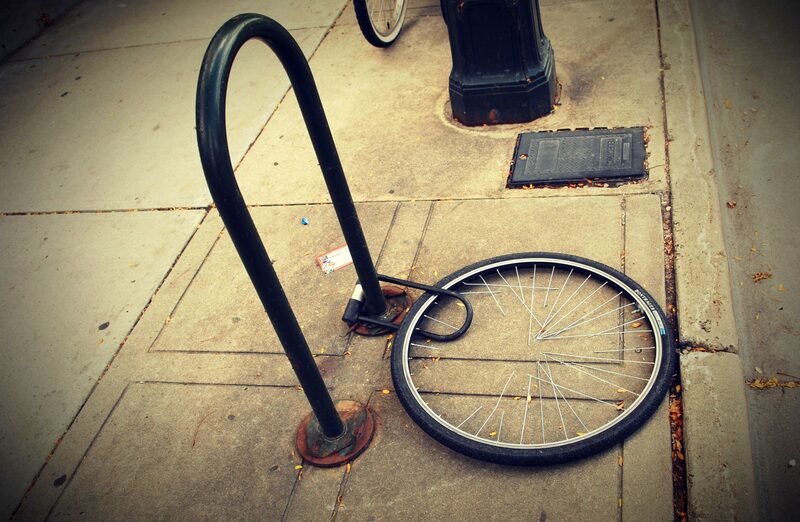 All locks are breakable, if a thief wants your bicycle, they'll get it. But some locks take longer to break than others, and this can make the difference between your bike getting stolen or not. The bike locks listed here all have their own strengths and weaknesses. 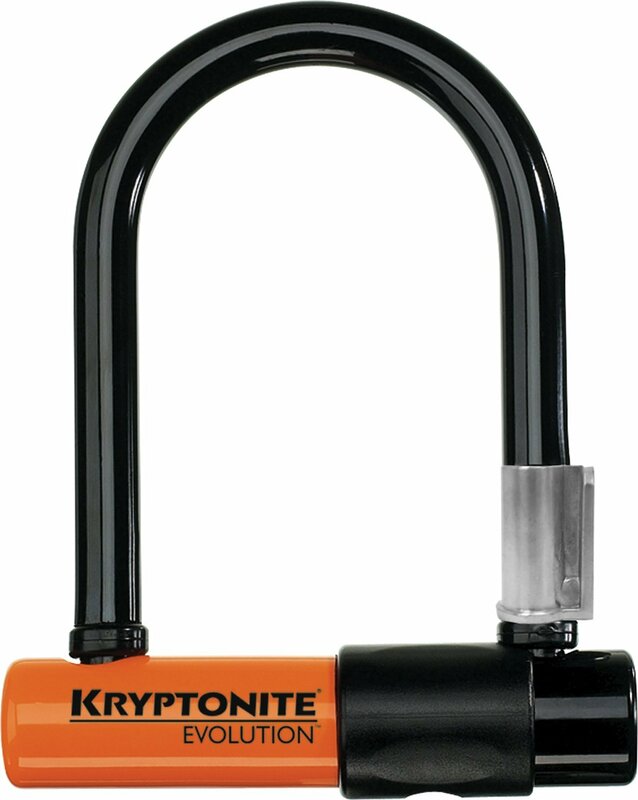 However, if you're looking for the most secure lock, then the Kryptonite Kryptolok Series 2 D-Lock is by far the best product under $50. 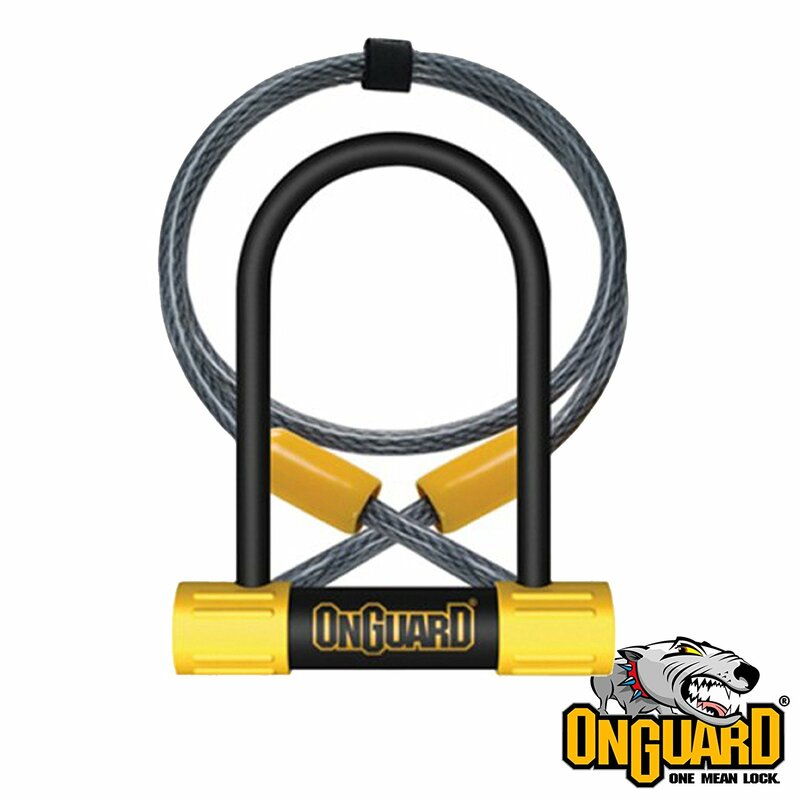 It has the highest safety rating here, and D-Locks are known to be much better deterrents.